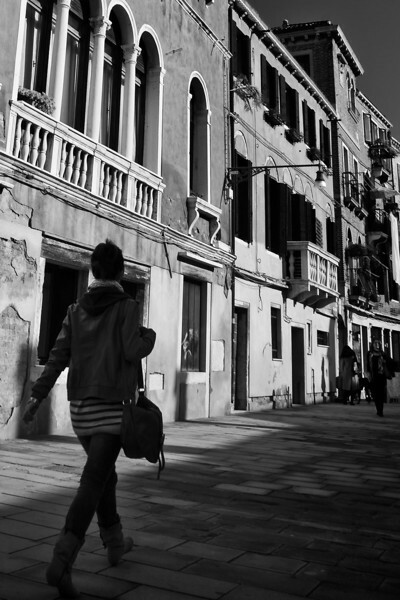 See the gallery "Venice (colour)" for a colour version of some of these pics plus some more. Very attractive street for a stroll. I can feel the steps of the person on the left. I like the angle as well as the ladies going about there busy day.